Is the ICO Market Dying or Thriving? Blockchain’s disruption of previously “unbudgeable” financial institutions has made it a desirable capital funnel that small businesses, entrepreneurs, inventors, charities, and, unfortunately, grifters have flocked to en masse. The new tokenized economy is a result of fractured infrastructure. The overwhelming bureaucracy and regulatory oversight of the financial sector make it nearly impossible for the average investor to get heavily involved with startups. Venture firms are populated with fat cats, and traditional investment routes typically push the everyday man into stocks or mutual funds for well-established entities. On the other side of the coin, startups can rise and fall at whim, without having to heavily involve themselves in the politics of traditional funding — something that’s attractive to both serious entrepreneurs, blockchain enthusiasts, and the misfits of the standardized Wall Street(esk) funding routes. The semi-chaotic nature of crypto has caused it to simultaneously explode and implode on itself, creating positive and negative headlines in the process. Today, we’re going to talk about the future of initial coin offerings (or token offerings,) and talk about whether or not ICOs have survived the last few chaotic years. Really, the best way for us to get some perspective on the ICO market is to look at the market, which we’ll do in a moment. But, to get a grip on the ICO market, we have to dig into both points of view. Analysts on both sides seem to be high-on-speculation, and there never seems to be a decent middle ground. We usually either get bullish predictions about cryptos absolute dominance over all other forms of fiat currency or hints that this all may be some sort of lucid dream run by a group of shadow scammers. Both of which are pretty radical ways to look at ICOs in general. Though, to be fair, rising technologies always have a ton of polarization that surrounds them. The first consensus is that ICOs are dead. Pack it up; it’s over. Of course, this sentiment is extreme (at the very least,) but we’ve seen it echoed across major news outlets. Are ICOs really dead? No, of course not. The recent Bitcoin plunge has, as usual, caused some hypertension in the upper echelons of Wall Street, which gets echoed (in force) on most of the major news outlets. The leading theory here is that major institutions worming their way into the primary coin markets (Bitcoin, Ethereum, XRP) is going to disrupt ICOs as an investment outlet. Part of the initial appeal of ICOs was the lack of regulatory channels. But, as the dam breaks, we’re starting to see a split in ICO funding. ICOs aren’t dying, they’re dividing. Investors are savvier, and fraudulent ICOs are getting punished. This is leading to a strange fracture, where most funds are being poured into the touted ICOs instead of split across the market in a wild attempt to get-rich-quick. On the opposite side of the spectrum, we’re seeing ICOs being touted as the savior of startups or the most prominent future investment avenue for startups. Again, this is partially true, partially hype. ICOs aren’t going anywhere anytime soon. They still stand as a critical disruptive avenue for investors to get on the ground level of a new idea or service without having to go through insanely complex regulatory processes. ICOs are going to be fine. In fact, if we really dig into Q2 report for 2018, we can find some insightful information about the current state of the market. Let’s digest each of these facts. 50% of ICOs failed to raise more than $100k: This isn’t surprising. Given that the number of ICOs doubled over the last quarter and that the frictionless entry into token sales has given rise to tons of untrustworthy tokens, we would say this number is about where it should be. In fact, we would speculate that this number will continue to drop off. Not because ICOs are dying as an investment medium, but because investors are now hyper-aware of the risks involved. We’ve seen quite a few ICO scams pop up over the last year; it’s understandable that investors are more skeptical. We’ve also seen the market mature as far as liquidity is concerned, which has created a funding gap between 2017 and 2018. ICOs can still raise crazy capital: 17% of the funded ICOs raised between $1 – 5 million, while 12% of them were over the $5 mark. This shows that there’s still plenty of maturity in the market, and entrepreneurs can still downright skip the venture process. Of course, EOS was the biggie with over $4 billion raised. Utility tokens are king: Currently, the majority (<42%) of ITOs are service tokens, but the vast majority of successful fundings were utility tokens. Of course, part of this has to do with the natural skepticism and market maturity, but this quarter just had some great utility offerings. The real truth about ICOs is that they aren’t intrinsically tied to Bitcoin, which seems to be a pervasive belief in the media. They’re tied to the infrastructure of blockchain. The successes and failures of ICOs (as a whole) come down to investors faith in this progressive technology. The idea that anyone — despite class, wealth index, or trading experience — can invest in a startup (nearly) regulation free, is appealing in itself. It’s a way for entrepreneurs to get in the face of the public immediately, and raise a significant amount of money. ICOs aren’t going anywhere. The market will have its ups-and-downs, and, until the market finally realizes that ICOs aren’t (and shouldn’t be) grouped with the major cryptocurrencies, we’ll continue to see falls as the market dips. But, as time goes on, and ICOs start to become more legitimized in the public’s eye, they stand to be an essential investment outlet for the future. ICOs aren’t thriving or dying; they’re changing – but they’re here to stay. Investors are becoming increasingly aware of the risks involved with ICO funding, and regulation is slowly creeping in to thwart untrustworthy tokens. There’s still plenty of funding available for ICOs, and public perception in ICOs is still tied to blockchain technology as a whole. But moving forward, it will be essential to ensure compliance with introduced regulation and we at TokenRaise will help you stay the course. 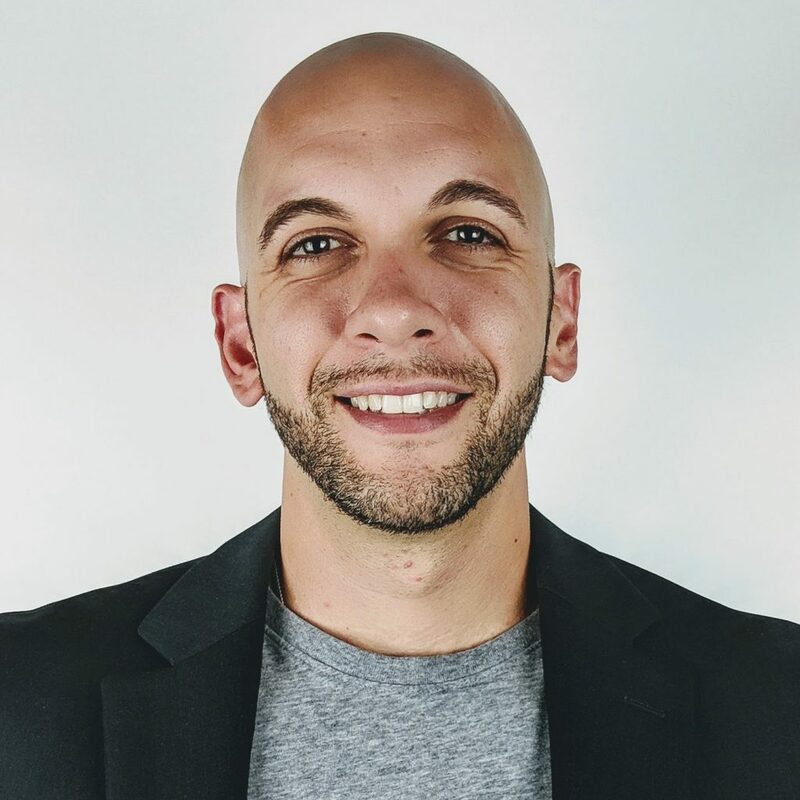 Antonio is the Chief Marketing Officer at TokenRaise. You can reach him directly at antonio@tokenraise.io.